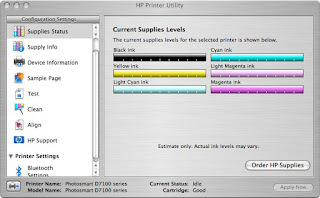 How to Maintain your Inkjet Printer | TonerGreen - Eco-Friendly Toners from the U.S.
An inkjet printer, just like any other machines, should undergo cleaning and maintenance at least once every six months for efficient operation. Regardless of the age of the printer, some simple maintenance can be done to ensure smooth operation. Though printers usually have a self-cleaning option, there are things you can still do to prevent trouble down the road. It doesn't have to be expensive -- a simple maintenance will go a long way. Here's our quick and easy guide to keep your inkjet printer happy, healthy and lasting longer. Remember the CD software that came with your printer purchase? Make sure you install that to your computer. This software includes utility and maintenance tools called head cleaning, nozzle check, and head alignment to virtually maintain your printer. Where to find these tools? You will likely find these controls in your Mac: System Preferences » Print & Fax » Set Up Printers or Windows: Control Panel » Printers & Faxes. When you notice that the print quality starts to deteriorate, go ahead and run the tools to diagnose and resolve printing issues. Note: This tutorial is meant to be a guide. If you are careless in your inkjet printer and it no longer functions because of these instructions, We are not liable for any damage whatsoever. Step 1. Put on gloves so you won't end up getting ink on your hands. Then turn off the printer and unplug from power source. Some HP and Canon printers have removable printhead built into the printer. 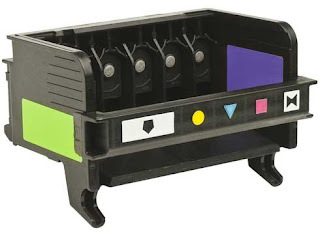 This holds the ink cartridges and where they are installed. 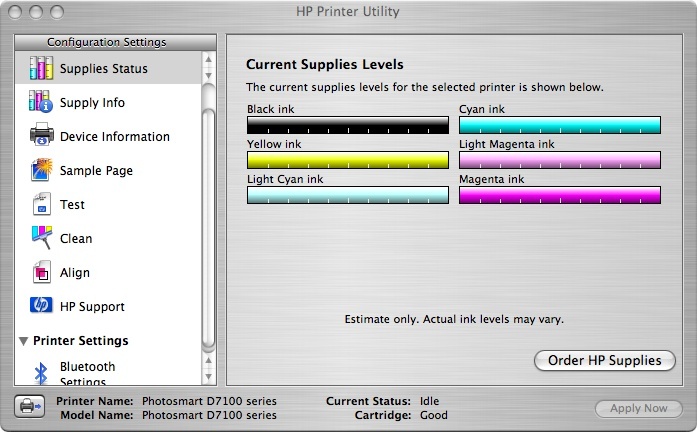 In case you have this type of printer, remove it and wash under the water tap to remove excess ink. Step 3. 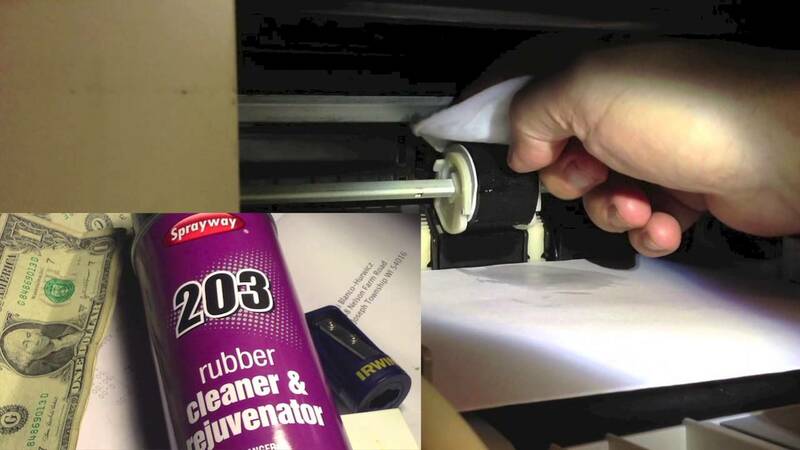 Clean the ribbon and stabilizer bar - Grab some paper towel, add some windex, then clean the ribbon that sits behind the ink cartridge tray. The ribbon is typically white in color. Caution: Be very careful when cleaning the ribbon. Only use minimal pressure on the ribbon or you could risk disconnecting the ribbon from the printer on either side. Lastly, put some sewing machine oil or printer oil along the stabilizer bar, which is the bar that the ink cartridge tray slides along. Performing this process should also eliminate squeaking, crunching, and grinding printer noises. Step 4. Clean the paper feed assembly - If the paper feed roller is dirty, paper jam and misfeeds might occur. Damp cloth with rubber cleaner (if you have) or rubbing alcohol and clean the dust off the roller then let it dry. Step 5 - General Outside Cleanup - To complete the cleaning process, the outer part of the printer should also be cleaned. Dusting brush/canned air, soft cloth and a little windex will do to remove dust or ink build up and make it look like new again. Hopefully, this simple maintenance guide will help to extend the life of your inkjet printer and keep it running smoothly and trouble-free.